This quilt, done in soft colors, brings the beauty of the garden into your home. 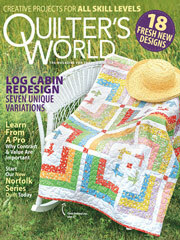 Use the finished quilt as a wall hanging or a lap quilt. Finished size 42" x 58".